Doors open at 9:00 PM. Open Source is celebrating two years of pushing boundaries in Houston nightlife! 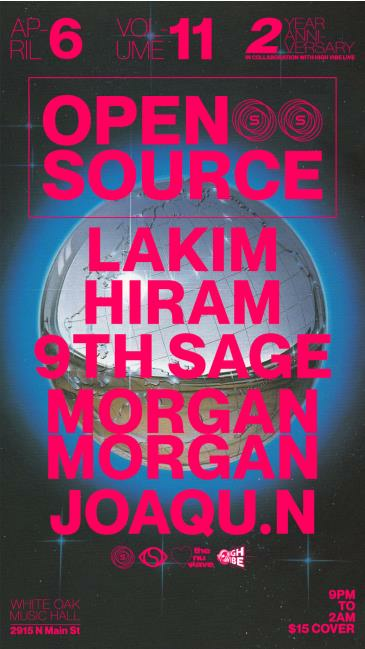 Join us April 6th as we host Soulection’s very own, Lakim. Not familiar with Open Source? Imagine combining fresh sounds from all over the world with incredible visuals and topping it off with several plants to tastefully create the perfect atmosphere for a party. This is not your average night out in Houston. Forward thinking music for forward thinking listeners!